We’ve been discussing how to help clients plan for their own healthcare costs in retirement. But planning for their own out-of-pocket costs is not the only potential healthcare-related costs they could incur. 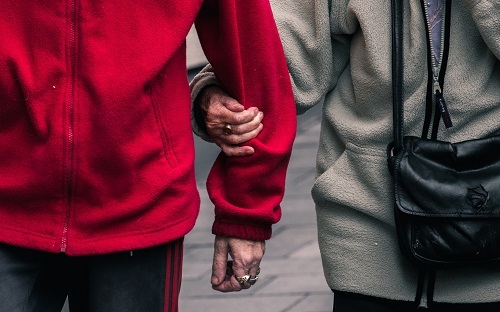 Caregiving is a role that more and more adult children are playing for their aging parents, and the financial strain that can cause for their own plans is very real. As your clients approach their own retirement, it’s critical that you understand their family dynamic as a whole so that you can plan for and ask questions regarding the potential that they will become a caregiver to their parents at some point. When it comes to planning for costs associated with caregiving, one of the biggest challenges is understanding the probability that it will be a reality for your clients. This process starts by being able to ask the right questions when working with your clients on their own retirement plan. Establishing their own family health history can be a great place to start understanding the conditions or chronic illnesses that run in the family. If they have a family health history of Alzheimer’s, for example, then it’s likely that at some point they will need to help care for a family member with the condition. Starting with the HALO assessment can give you a basic understanding of their family health history and can give you the information you need to start asking the questions that will enable you to create the right plan for your client. Are your parents already in retirement? If so, did they plan for out-of-pocket healthcare costs? What are your parents wishes for when they need assisted care? Do they want to stay at home, move in with you, or move into an assisted care facility? Do your parents or in-laws have any chronic conditions or require special care or medications? Do you have a plan in place for if you have to become a caregiver for your parents? Do you have siblings or other family members whom you’ve talked to about the plan? What is your expected contribution? Starting with these questions, you can begin to paint the landscape of what additional costs, beyond their own out-of-pocket care costs that they may need to plan for in retirement. Though becoming a caregiver can be challenging both emotionally and financially, having a plan in place before it becomes a reality can help ease the potential burden of both.